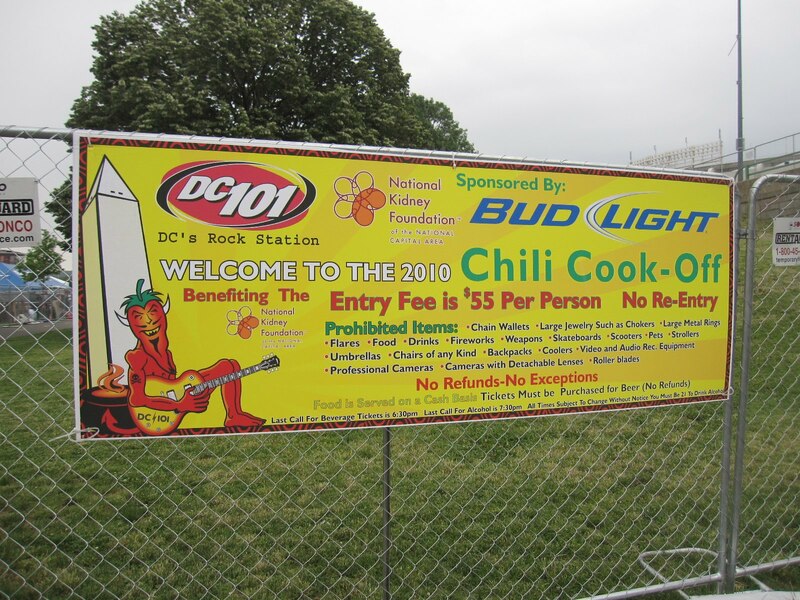 TheWirk.com ~ voted BallHyped.com's 2010 "Best Independent Sports Blog": DC101 Chili Cook-Off: Alice in Chains and Stone Temple Pilots rocked! 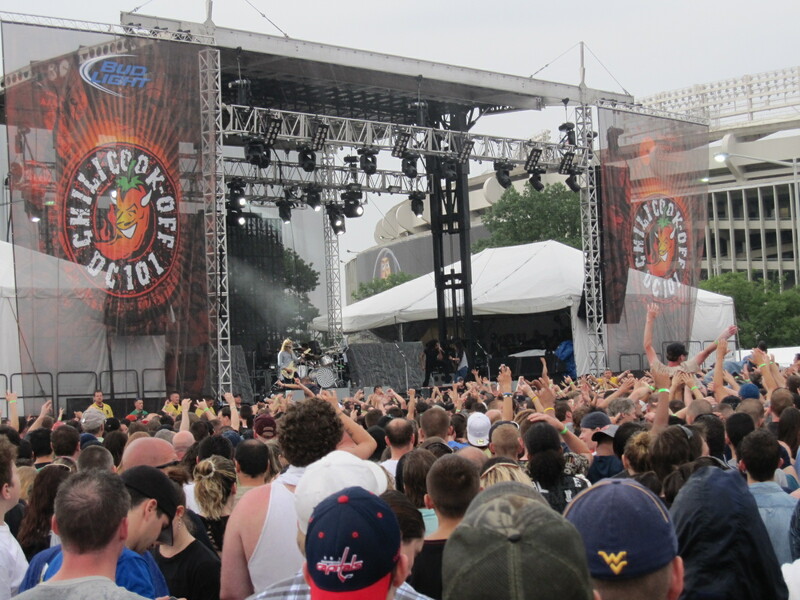 DC101 Chili Cook-Off: Alice in Chains and Stone Temple Pilots rocked! Yesterday I was told that I'm missing out on some great NBA Playoff games, since I haven't been devoting my attention to the Eastern or Western Conference Finals. Perhaps... 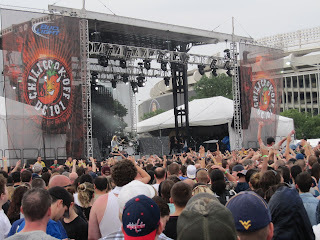 However, yesterday I decided I wanted to do the "music thing" and check out the 2010 DC101 Chili Cook-Off and check out Alice in Chains and Stone Temple Pilots. 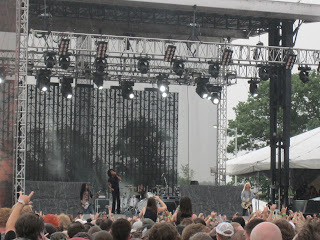 I'd never seen either band perform before, at least I know for sure I hadn't seen Alice in Chains before last night. 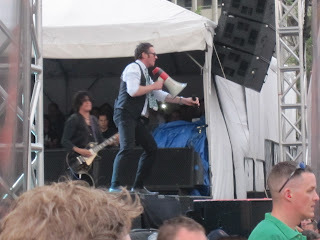 I'm a little hazy when it comes to STP, but regardless I wanted to see them yesterday. My brother is more of a music guy than me. He's probably the only person I know of that still hits Lollapalooza. Who even knew that festival was still going on? But I digress. Regardless, I know what I like but I asked my brother if both bands were still relevant. He replied, "They're cool, but it's pure nostalgia ~ STP only recently back together and Chains has been touring with new singer for a few years since Layne Staley is dead." I knew Layne Staley had died, but I'll never forget the image of the guy with his eyes sewn shut in the "Man in the Box" video, so I wanted to check Alice in Chains out. 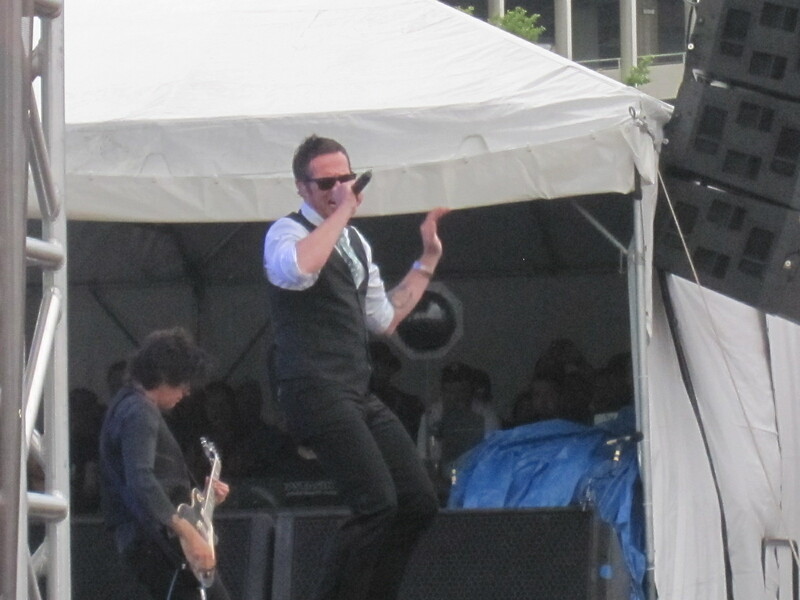 STP's new self-titled album, "Stone Temple Pilots," is in stores on Tuesday. It's the 6th album, and their first in 9 years. I took the metro down to the Stadium Armory with my friend, Brian to meet our friends. Brian was psyched to hear Alice in Chains perform, "Would?" He started to play it a little bit of the song on the train (i.e. with this iPhone) and the 2 teenagers across the train immediately smiled. They were headed to the event also. Arriving at the event, I was surprised with how big the space was and how many people were there ~ yet it wasn't too crowded/packed. There were crowds of people walking out while we were walking in. We arrived at 5:30 (i.e. Alice in Chains was just coming on or had just started). I'm guessing from the looks of the people heading out of the event that they'd arrived early and partied too hard, so it was time for them to go. 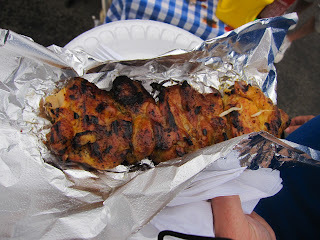 My friend and I tasted no chili, but the chicken on a stick was great. It was huge ~ seriously, almost an entire chicken. We indulged in a funnel cake, and then the rain started. It didn't matter. The weather was warm and the rain wasn't going to ruin the fun. With our beer tickets we got our beers and met up with friends. Brian heard Alice in Chains perform "Would?" and their other hits, and he was thrilled. In between Alice and Chains, I went to meet my friend closer to the stage, and she and I caught up. 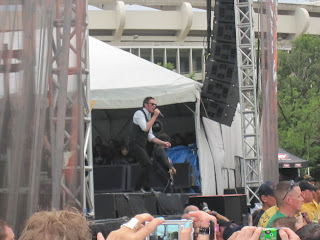 I watched about 30 mins of the STP set by the stage. 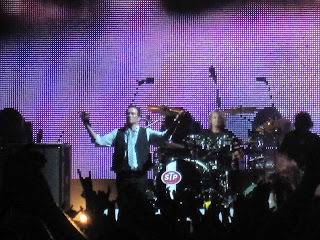 STP opened with "Vasoline" and sounded awesome. 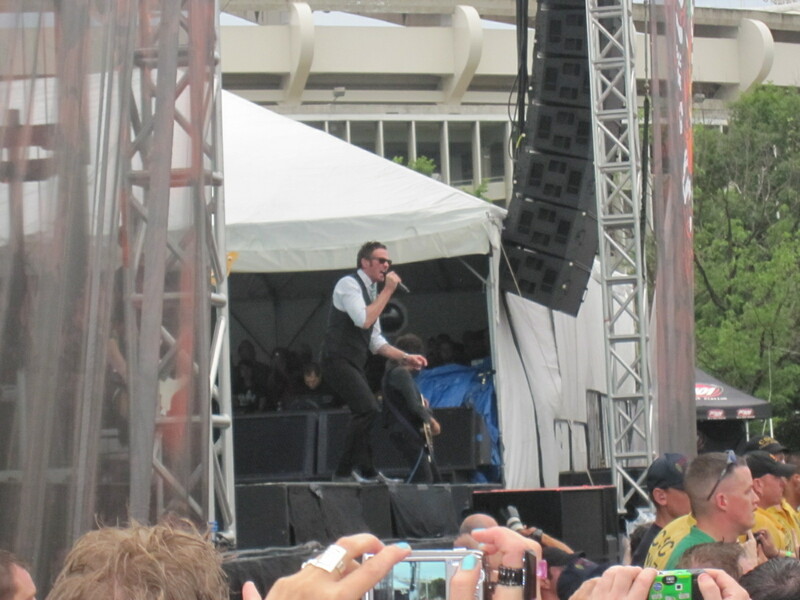 I was curious to see how Scott Weiland would look, and he looked sharp. After about 30 mins I decided I wanted to move back into the Sound Stage VIP area (i.e. closer to the exit), since the plan was for my friend and I to catch the rest of Game 3 of the Boston Celtics v Orlando Magic series and wanted to get out easilly. 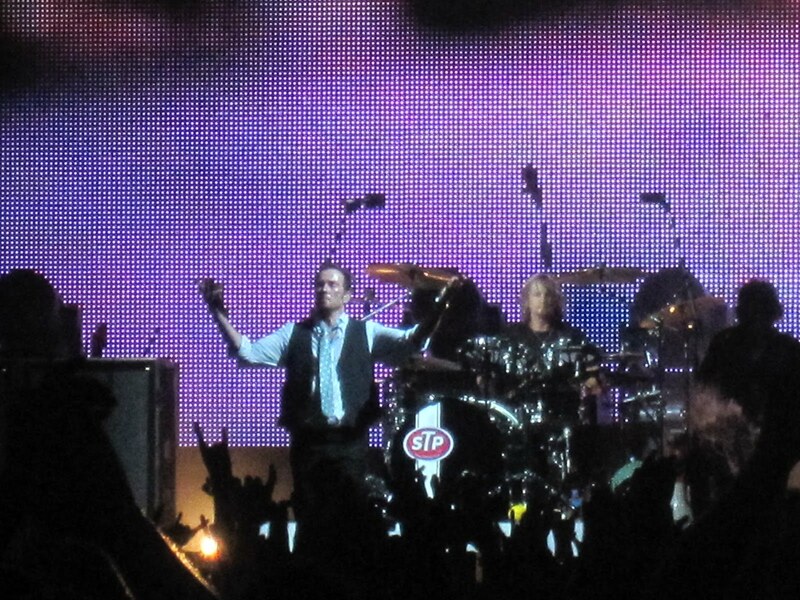 Here's one of the pics I took of STP from that area. Stone Temple Pilots came out strong and performed well. My brother was right. It was pure nostalgia, and I loved every minute of it! 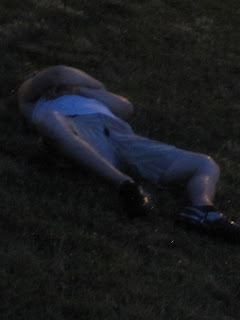 On the way out I saw this guy, lying in the lawn, so remember to party responsibly. Haha. 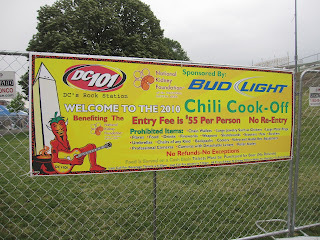 If you've never been to the DC101 Chili Cook-Off, definitely check it out if the bands or chili interest you. It's a great event, and it's for charity (i.e. benefits the National Kidney Foundation). **** Oh, and I have to mention that Scott Weiland used to live in Chagrin Falls, Ohio. In college my friend, Paul, drilled this fact into me so I'd be remiss without stating it. it's all relative, i guess. i'd never seen him perform live so i had nothing to compare it to. hope you enjoyed the other acts at least. STP wasn't any good. Cage was better and Switchfoot had so much energy. I got there late and missed the bands before AIC. Thanks for the link. I'll check it out!